Lightweight, tear-away stabilizer. Ideal as a backing stabilizer. Use as many layers as needed for support, then easily tear away one layer at a time. 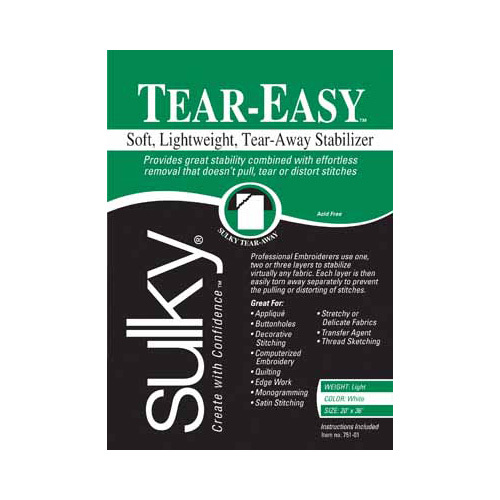 Using Tear-Easy prevents the pulling, tearing or distorting of delicate straight stitching when removing it from embroidered designs that have satin stitching or straight stitching. Available in both black and white.